What can it offer? Check out www.lifesavers.org, there is far too much to cover here! To inform and educate members in water safety, accident prevention, survival, rescue, life support, emergency aftercare and first aid. These skills are taught under the accredited and progressive Rookie system for children under 12 years and the Survive and Save Programme for seniors. The opportunity to test skills in competition is encouraged via interclub, county and National levels, in age appropriate categories. RASCALS have an enviable record in excellence and achievement. 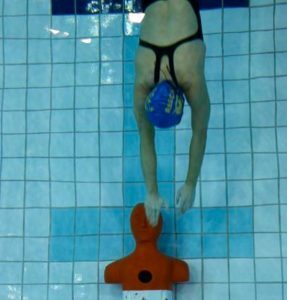 Lifesaving speed swimming is a fast evolving sport. Water filled manikins are towed, carried, and dived for. Accurate rope throw and retrieve of a swimmer, fin races, obstacle races, surf board races, sea swims, beach sprints, flag races, open still water swimming all test core fitness and strength. RASCALS offer training in all these disciplines supported by land based gym sessions. The club sends squads to local and National competions, currently having eight members on the UK Development team looking forward to International representation. Lifesaving is fun, inclusive and social. Relay teams bring camaraderie and excitement to competitions. Club based competitions lead onto the National league of University and college teams and can bring important links when members move away from home for the first time. Families with a wide age range of children can all enjoy training and competitions together, from eight years to masters. Support and encouragement is offered at all levels and aspirations. Seniors are mentors for younger members and integration through squads and abilities is actively encouraged. New members are always welcomed. Come along on a Friday evening 7.30pm onwards and chat to a committee member or Daniel Woodthorpe, Lead Coach, Lifesaving . Below you will find links to the lifesaving pages. These will be fully integrated to the main links section shortly.